As opposed to conventional ways of addressing the ‘trauma’ of loss, narrative ideas provide a refreshing alternative to celebrate the lives of those who have left us. We celebrate the gifts of their values, skills and knowledges as part of the process of legacy building. Re-membering practices allow the deceased to continue “living” in the present and future. This presentation proposes the use of the ‘Life Certificate’ a narrative therapeutic document that allows us to document the preferred stories of our lost loved ones. Examples of how the ‘Life Certificate’ is used in practice will be discussed, along with narrative inquiries to facilitate the renegotiation of our relationships. Mohamed Fareez is a social worker from the sunny Island of Singapore, where he is currently Centre Head of Cheng San Family Service Centre (AMKFSC Community Services Ltd). As a practitioner, he is keen on developing ways of integrating narrative ideas into social work case management and community work in Singapore. Fareez frequently collaborates with persons affected by grief and loss, where he values ideas of ‘re-membering’ as important counter-stories against the dominant discourses of grief work. 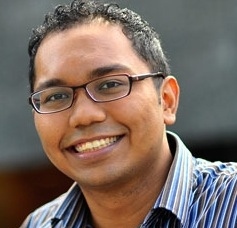 Fareez writes about his experiences as a social worker in his blog www.fareez.sg, where he can also be contacted. Thank you! I love the sensibility you work with I found very interesting this certificate and its applications. THE LIFE CERTIFICATE IS SUCH AN HONORABLE WAY OF RE-MEMBERING. THANK YOU FOR SHARING YOUR WORK AND EXPERIENCES. Thank you Fareez. Your video taught me so much about helping clients thicken the stories around grief. I really like the life certificate. There were so many things that really stirred my imagination when I first heard Fareez talk about the Life Certificate, in June, when we had the honour and privilege to co-learn with Fareez for a month. I was excited by the idea of a new practice that subverts dominant ways of thinking about and working with people who have experienced grief (or whatever name they would put to this experience). I was intrigued by the idea of “flipping” on its head, one of the dominant practices of documenting people after they die (The Death Certificate) and instead co-creating a certificate that speaks to (and honours) what the deceased person stood for or against, what they valued, what they liked to do, what contributions they made, etc. It made a lot sense to me and to me, felt like a very honouring practice of documenting the deceased person, and of the relationship he/she/they had with the person consulting us. Where it took me in my thinking back when I first heard Fareez talk about it, was how this practice might be helpful in my work with women whose children have been taken into care by the State because their drug use. I was eager to co-research how this practice might help in de-constructing taken-for-granted ideas about mothers (mostly who face poverty and are racialized) who use illegal drugs are deemed “unfit” to parent. It got me thinking about how the act of creating a Life Certificate with mothers who have had their children “apprehended” by the State might help to create openings to preferred stories… stories of the ways that they resisted these ideas of themselves, how they refused to give up on their children no matter how hard it got, etc. This time around, listening to Fareez talk about the Life Certificate practice what really stood out was learning about the origin of this practice; how the idea sprung from Fareez’ work with a woman who carried around her father’s Death Certificate in her purse as a way to remember him. The reason that this captured my attention (and stayed with me until today, a week after watching the video) is because it reminded me of the importance of “talking about talking about grief” (or “talking about talking about” whatever it is the person has come to consult us about). It got me thinking about times when I may have gotten so excited about trying out a new idea or practice that I did not take the time to “talk about talking about…” and in so doing may have inadvertently prevented a conversation about something that was important to the person to discuss that day. This video has reconnected me with my preferred ways of working with people that align with the values and ethics of not centring myself in this work, and working collaboratively in determining the path forward. Thanks Fareez! although we are less than 12 km away, i didn’t share about how when i first heard about the Life Certificate in Adelaide, i was excited to use it. I didn’t tell you how i was touched by your story about your dad and made me wonder what i didn’t know or had forgotten about people. I didn’t tell you how me and my colleague witnessed the lovely stories unfold as we used this with a woman who lost her dad and had feelings of self blame. We embraced together the memories of tenderness when her father brought back those dolls with large wobbly heads, the wonderful excursions they would go on, and the romance between her dad and her mom. The faith and the values of family-centredness that was passed from him to her. When the certificate was presented to them in a photo frame, they were gleaming from ear to ear and i took a photograph of them actually with it (show it to you with their permission next time!). I also didn’t tell you that my colleague had used it with her youth and that it was a special moment for both of them too. The life cert really makes re-membering very accessible and easy to relate to for those that are affected by complicated memories of significant people. We are excited to use it with children whose parents may be living away from them, incarcerated or unavailable at the moment. Hey Fareez! Lauri and I had a chance to watch your video–thank you for taking the time to share a bit from your practice, and especially from your own personal experience of loss. We loved the social poetics of the origin story of the life certificate: emerging in the conversational moment between you and your client as she shared the death certificate she lovingly and painfully carried with her. The “twist” you speak of is a profound honoring of her intentions & hopes in keeping the death certificate with her at all times. We also found ourselves grateful for the reminder that–despite our desire to twist prevailing discourses and imposed narratives–we must be attuned to peoples’ cultural practices and beliefs. Thanks so much for sharing some creative ways to have conversations in relation to grief. I would love to use the Life Certificate in my practice. Do you have a template you can share, as my graphic skills are a little limited? I imagine I could also give the option that the person might draw up their own certificate. I really appreciated the reminder of the need to respectfully ask what the person thinks would be helpful, rather than rushing in with a new idea we want to try out. I found that during your presentation I was reminded of some lovely times I had with a friend who died many years ago. Our relationship was complex, and I enjoyed being reminded today of the values he had, which I have chosen to carry on. My thoughts were also taken to considerations of the ways we can renegotiate relationships with people who are still alive, when we acknowledge that there are always alternative stories, even in relationships that seem quite fraught. You have got me thinking more appreciatively of someone in my life. Thank you for this lovely gift. My colleagues and I had the pleasure of spending an extended period of time with Fareez earlier this year, exchanging ideas, including ‘The Life Certificate’. This knowledge and skill exchange with Fareez was an experience that definitely left me ‘moved’ to a different place because ‘The Life Certificate’ is an example of, to use Fareez’s words, “a twist” on an existing cultural practice that adds to my Narrative practice in a defined, palpable way. So, Fareez, thank you for that. re-membering, related to grief, strongly resonated for me when you said, “Sometimes we need to access alternative stories in order to re-define our relationships with the people that we lost”, and I also very much appreciate how the examples that you use emphasize that this re-definition of our relationships with those whom we have lost creates double-storied accounts of these people, of our relationships with them, and of our memories about them. Thank you for sharing a glimpse into your practice! I appreciated many things about what you shared here but was particularly drawn to a few themes this time around. I’m struck by the way in which you described how the Life Certificate was developed. I was drawn to the way in which it seems you wove together your personal insider knoweldges of grief, knowledge garnered through co-research and collaboration with those you meet with and knowledge from narrative ideas to create this lovely way of working. I really enjoyed when you said that “the next one was a field recommended by a person I was consulting”. This has me thinking about how when we refuse to see ‘professional’ or ‘academic’ knowledge as more valuable than ‘insider’ knoweldges what lovely possibilities and responses can emerge. I’m also left considering what ‘legacies’ I and those I love are carrying on and forward into the future. Thank you Fareez! I enjoyed this- thank you.